Pace changes the life trajectory of more than 3,000 girls and young women annually. From their site, “Pace provides academic education through individualized progress monitoring plans and daily instruction taught by certified teachers. All educational initiatives align with requirements of the local school district.” Each center operates like a school and they have 60 girls in each center and 10 girls in each class. They have full school days at each center and the students have access to therapists and physical health support. Their mission is to find the great in every girl and they do that by providing students with all the tools to help them reach their full potential. Pace started in Jacksonville, FL with 10 girls and a budget of $100 in 1985. Since then, they have opened 20 more Pace Centers in Florida and over 40,000 girls have been helped by Pace. One inspirational success story is of a girl named Mia (permission was granted by Mia to share her story). Mia came from a middle class family and grew up engaged and involved with school. However in middle school something happened and her attitude towards school changed. She was constantly being thrown out of school and it wasn’t until she started to go to Pace that things clicked and changed for her. She graduated from Pace, received her Bachelor’s Degree and went to law school. The amazing thing is that she is now a practicing attorney. Pace truly was a transformational experience for her. Women such as Mia, come back to Pace to give speeches and give back because as Mary said, “Once a Pace girl, always a Pace girl”. Mary’s own background had quite a different beginning. She originally wanted to be a doctor and graduated from Reed College in Portland, OR. She was a molecular biologist for 4.5 years before coming to the realization that that’s not what she wanted to do. She decided to change careers and switched to children’s art. She felt that art is a child’s first language and it’s important to have all children be able to express that. She started a children’s art museum in the San Francisco Bay Area which soon became one of the largest in the region. They also became the arts education program for 4 school districts, partnered with public housing for after school art programs, and brought kids together from all over the community to make art. Mary’s introduction to Pace was actually through her father who started volunteering at Pace as a math tutor. He told her about the amazing organization and Mary started working at the company herself as the VP of External Affairs in 2007. In 2009 she was promoted to the role of CEO. Since then she has helped double the number of girls reached by Pace. She also works with Florida legislature to help change the lives of all girls in the area, not just their students. If you are inspired by Mary (as I know I am!) and would like to get involved there are 3 ways and that’s through time, treasure, and talent. Visit their website to learn more about volunteering for Pace, donating money to the organization, or how you can tour some of their centers.  To listen to the full podcast of the show, please visit www.petethejobguy.com.